It can be a challenge not getting stressed over work days that get consumed by meetings, or weeks that get shortened by holidays. 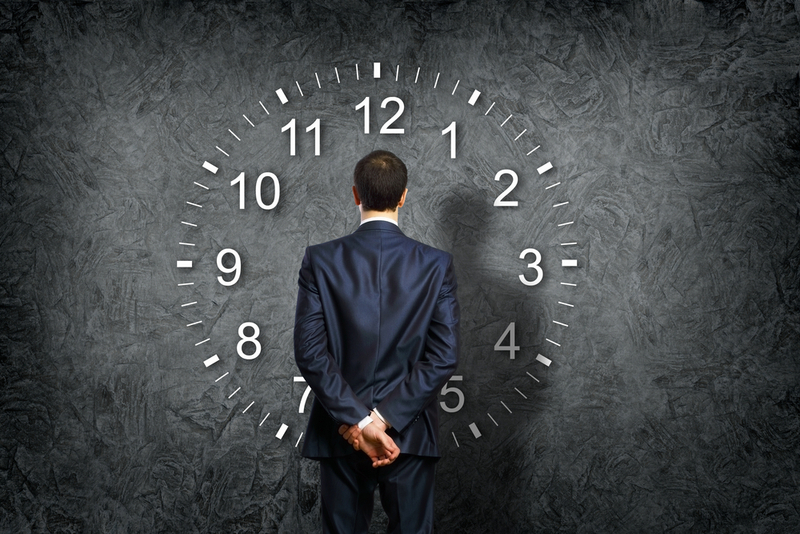 For almost everyone in the workplace, time is our single most precious commodity. The quest to save time is something that unites us and happens to be the biggest reason that organizations seek out automated calling and automated texting services. We read about it all the time in customer emails and surveys, "We love how much time the service saves us!" The biggest problem most new customers are trying to solve when looking for a service like Call-Em-All is a faster way to reach their contact groups. It might not seem like such a big deal if you're talking about a group of 10, 15, or even 20 people; but what if you need to reach 50, 100, 500, 1000, or even more? Do you need to call your contacts or send a text message? How many calls do you think you could make in an hour? How many times do you have to call before reaching a live person? How much time do you have to add if you speak with a contact and the conversation gets sidetracked? How much time do you spend dialing numbers or typing your message? How much of a factor do distractions or daily responsibilities become? On average, you can expect to make between 12-20 calls per hour if you stay focused on the task at hand. What's an hour of your time worth? I'm guessing that it's more than $1.80, probably a lot more. $1.80 is how much it would cost to make 20 calls or send 20 text messages with Call-Em-All. Even better, we can make about 4,500 calls per minute - so you can reach thousands of contacts quickly and efficiently. Text message speeds are a little slower at 1,200 per minute - but that's more than enough for most people. In addition to the time saved sending messages with Call-Em-All, here are 12 time saving automated texting & calling tips to help you save even more time. Every broadcast on the home screen has three vertical dots on the right side, clicking them will give you the option to duplicate your broadcast. You can repeat the message to your contacts, or edit as needed. Click on a specific broadcast to view broadcast details, and you'll see the link to "Create Broadcast From Results" which works just like #1 above. Plan out messages for the entire day, week, or month. During the first step of creating a broadcast, you get the option to start immediately or select a date and time in the future. Instead of manually entering contacts, upload a single file with your names and numbers during broadcast creation. Organize contacts by communication preference (call/text), geography, or any other segment you want to create. Easily select your group when creating a broadcast. Save pre-recorded messages to your audio library so you can select them for future broadcasts. Contacts can reply to your messages with STOP or UNSUBSCRIBE to end future messages. When contacts want to stop future messages but fail to use an opt-out word, we use machine learning to help identify them for you. Turn on notifications to receive an email or text when someone replies to your messages. Send a voice or text broadcast from any phone. No computer needed! Share your account with your entire team to help manage messages. We'll automatically retry numbers that give a busy signal or no answer.